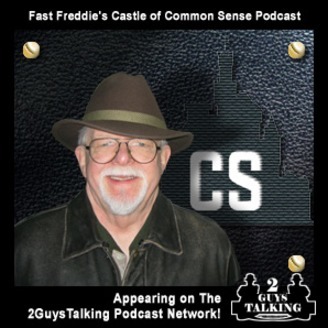 Freddie's Castle of Common Sense is a podcast of unusual design. The structure is a quatrefoil plan, much like a four-leafed clover, and consists of many short stories. A central stone pillar, that is continually reinforced with life experience, supports the ground floor. There are four strategically placed defensive turrets between the main lobes. The tower is believed to be an experiment in improving flanking fire by increasing the ability to witness and convey common sense in every situation. 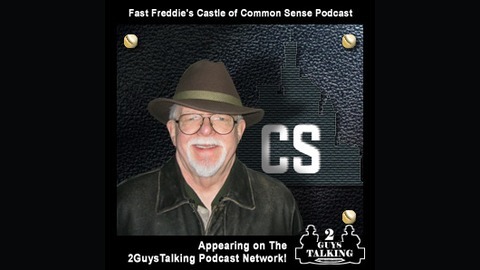 Very few examples of another multi-lobed, regularly updated podcasts exist, and you are invited to share in the true experience that is Fast Freddie's Castle of Common Sense Podcast. Castle of Common Sense: Episode 32: Nannies are Winning!